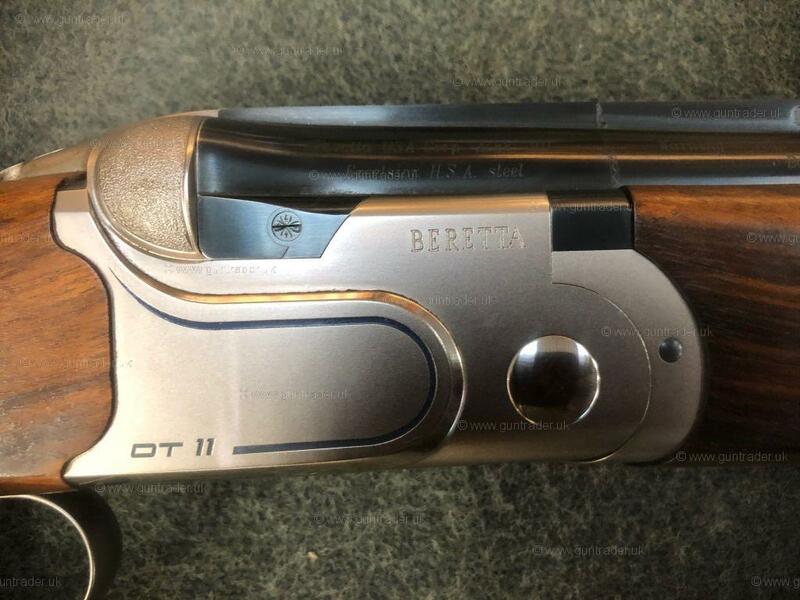 A beatiful example of the DT11 adjustable comb sporter Circa 2012. 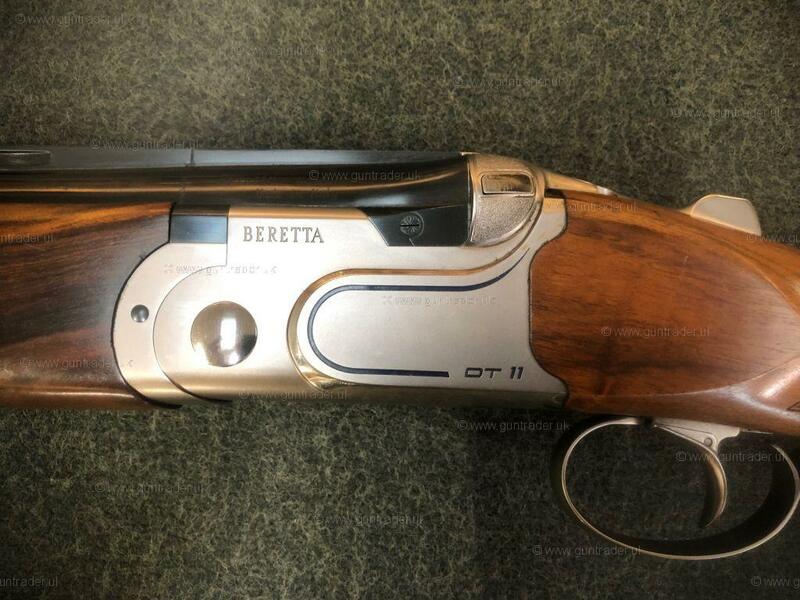 This is the prettiest standard DT11 Sporter we have seen. 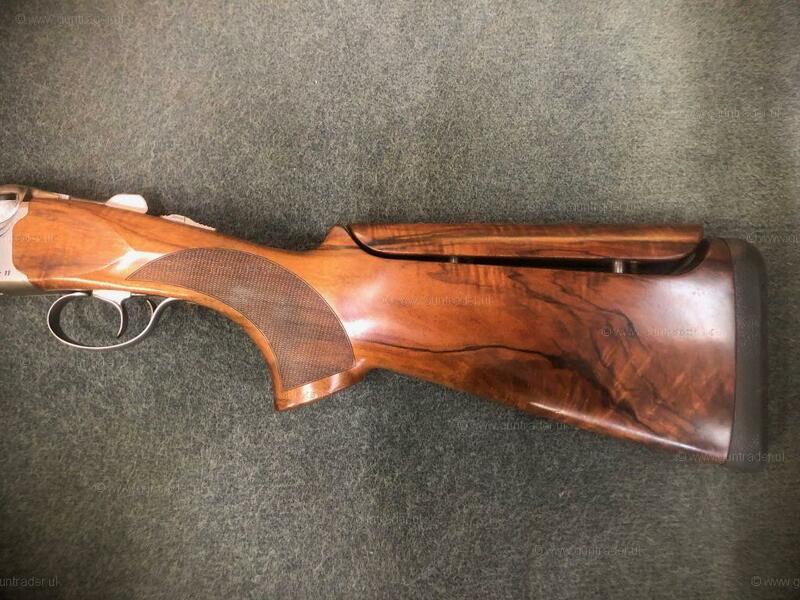 The very pretty 14 7/8" walnut stock has a factory fitted adjutable comb, rubber recoil pad & well dimension palm swell. The matt finish action is of the standard DT11 type with polised "swirl" & blue detailing. The underside of the gun is inlaid in blue with the model. 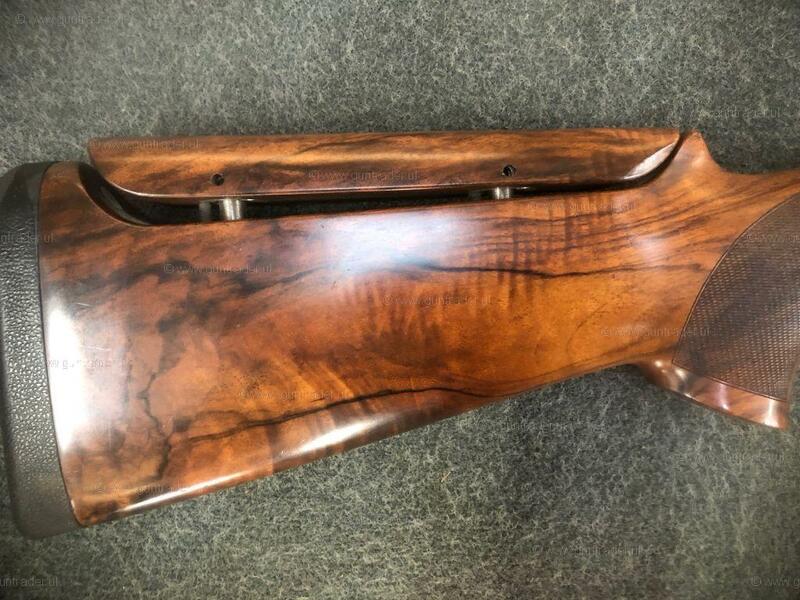 The rounded forend is again a great colour match for the stock. The 32" barrels are topped with a wide ventilated top rib & have vented side ribs. 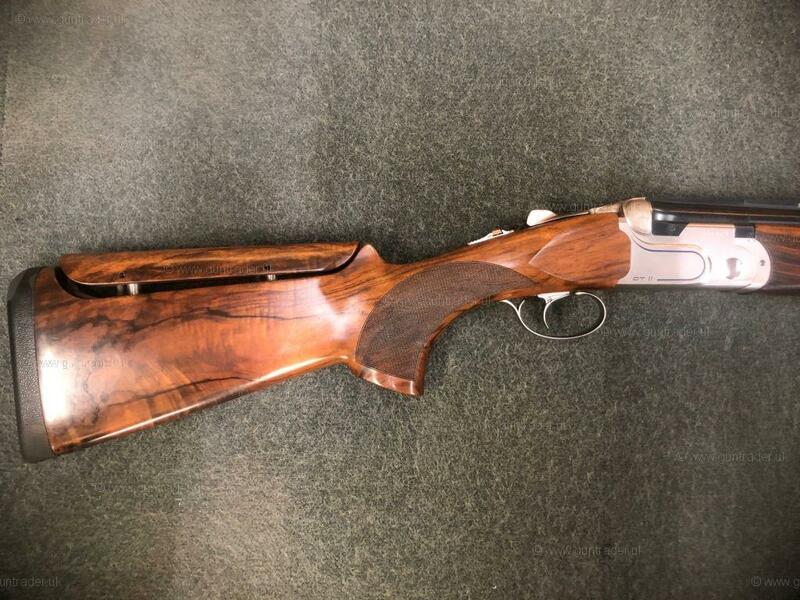 The gun has a good centre of balance & tips the scales @ 9lb 2oz The gun is supplied in the makers ABS case with a full set of factory chokes as well as 2 x Teague Extneded choke. 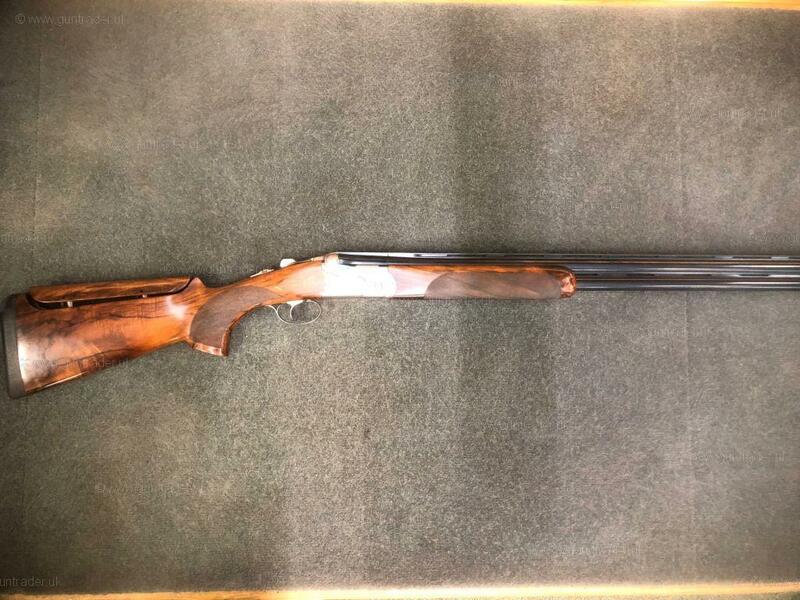 If this gun or any other gun we have listed is of interest please ask about our RFD to RFD service.